Speed rated to 112 mph/180kmh. Curved tread profile and ribbed pattern so typical of classic bikes. 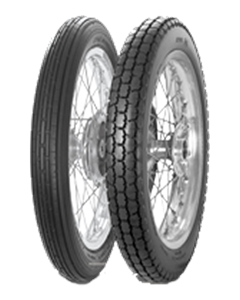 Best used in conjunction with the Safety Mileage MKII rear tyre.